Hi Jerry -See Bonnie's and Missie's answers. If they stop paying interest, it's time to cash them in. www.kiplinger.comSafety and tax advantages are the strong points of these investments. No particular purpose. They are about 25 years no. If I invest in something that pays .55% now. Would I be better off to go ahead and cash them in. They still have about 5 years left on them. I see there are now ETF products that can be purchased that have specific expirations and you can mimic a bond ladder with those products. Jerry - you can find an online savings account that pays in the range of .75 - 1% if you are looking for safety and liquidity. Look up their value using the online calculator and compare. I agree with Missie that many online banks are paying rates in the range she shows. Ken - You are right but another alternative is to build a ladder with certificates of deposit. 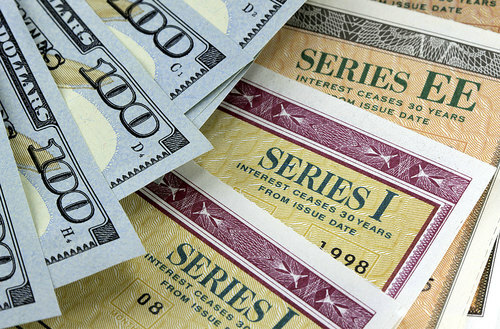 You don't have to deal with price changes and the yields are comparable to bonds. In a low interest rate environment like this, I would not build a ladder longer than three years. Ken - I know of the Guggenheim shares, but to my knowledge they're the only one that would allow you to do a ladder within a product. I don't know enough about the product, I seem to recall the costs being unattractive, and since my philosophy isn't one of laddering and not monitoring bonds I didn't see the value over holding bond funds that have their own internal ladders. Laddering to my mind makes sense, but it's not appropriate for everyone, doesn't give the benefits of diversification or monitoring of the actual bonds within the ladder. Hi Ken, Frank makes a good point in thinking about how far to go out. One caution on ETFs - we routinely see investors buying the 'name' of the ETF without any due diligence on what's inside it. If you are looking at a particular product have the fiduciary you're working with go through that due diligence to determine whether it is appropriate for you. www.kiplinger.comThe gap between spouses' benefit amounts is a key factor in determining which claiming strategies a couple should use. Not sure what ETFs are? Erv - let's assume you claimed at age 62, your spouse would only start receiving benefits if she was also 62 and filed to begin claiming. It's not automatic. See the links below on how much she could claim. 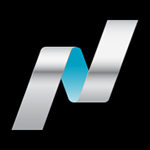 NASDAQ.comLearn how ETFs are defined, the features they offer, trading techniques, and some of the top ETFs available. 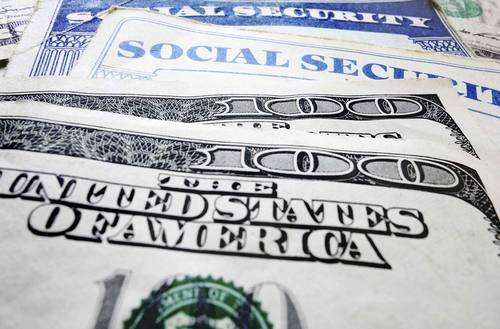 Erv - Social Security can be really confusing. You each get a benefit based on your own earnings record. If you are married and your spouses benefit is less that 50% of yours, the spouses benefit is elevated to reach 50%. This assumes that you both file on your normal retirement age. You can file as early as age 62 but that results in permanent reductions. SSA.Gov has a lot of good information. There are also commercial calculators designed for individuals where you pay a modest fee for a detailed analysis. Mr. Google can help you find them. My husband and I are 39 and have two school age daughters. We are debt free, own our primary home and rental properties outright, max out his 401k, both hsa's, and our Roths. We put extra money towards 529s but still have another $30k/yr we can stash away. Where is the best place to put it? We want him to retire (or at least down shift career wise) by 45 so we might need access to that money in 5 years. Hi Beachbound13, need an advisor? Kidding - you have done all we like to see: save, be debt free, mix of accounts, save for education - can't advise specifically on this forum and I suspect we'd beef up a taxable account but I'd like to provoke some thinking in another direction if you haven't already done so. 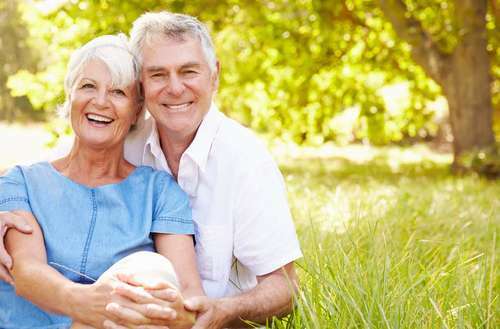 You will be VERY young retirees - I love the idea of downshifting. What will you do with the luxury/curse of 24/7 open for potentially 45-50 years? You have an opportunity to create a 2nd act that serves all the members of your family - if you haven't done so, please consider this in your planning and congratulations! Beachbound - Wow! You're asking us for advice? You're doing great! Based on what you said about needing that money in about five years, I think I would be careful and stick with certificates of deposit or a short duration bond fund. While I have your attention, I think you would be a good candidate for an engagement with a fee only financial planner. You appear to be in the enviable position of living your dreams at an early age and a planner can show you how to get there. Beachbound, in terms of "maxing" the 401(k), do you mean the $18,000 limit? If so, you may be surprised to learn the limit is actually $53,000 if your plan allows after-tax contributions (this limit is 'limited' based on employer contributions as well). 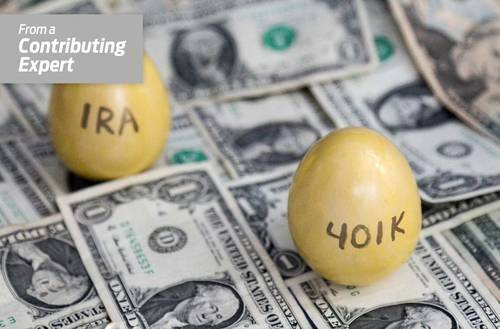 This after-tax contribution is attractive to my mind in many cases since the after-tax money often can be rolled out to a Roth IRA during working years without penalty, and at retirement it can be sent to a Roth IRA. If you don't have a 401(k), do you operate the rental properties yourself as a business? You may have some options if you can prove you are a self-employed real estate professional. Or, adding a taxable investment account may not be a bad idea. www.kiplinger.comTake our quiz to see if you are on track for a comfortable retirement and if not, how you can improve your chances. Beachbound13, congrats on some disciplined saving. Realize that you will have a loooong retirement ahead of you, so please be sure to meet with a fee-only advisor to develop a long-term cash flow plan. It will be important to determine where you will draw your cash for living expenses from age 45 onward. I would continue to invest the $30k per year into a diversified taxable account. Hi Devin, our planning tools have improved to the point where we can navigate based on goals and/or cash flow. The 80% 'rule' is a very rough guideline and fairly useless in day to day application. Suggest you run through your planning with a fee-only planner to 'see' for yourself the tax impact and the probabilities of success based on what you and your family care most about funding and how you intend to spend. Devin - I really dislike these rules of thumb that we see in the media. I base my plans on expenses. What do you spend today and what do you project to spend in retirement. I keep saying that retirement planning is not a do it yourself project. Take Bonnie's advice. Devin, 80% is on the aggressive side of a "rule of thumb" (though, I like the term "rules of dumb" since they aren't applicable to most). Being as it's already possible very aggressive, I think it would be even a more aggressive assumption to take the after-tax value, as if we can even know what that is. But, completely agree with the others on running a projection. Devin- I always advise clients that retirement expenses don't seem to change much unless you are significantly downsizing your home or moving to an area with a much lower cost of living. Realize that medical costs will increase (we use a rate of an additional 3.5% ABOVE inflation for medical expenses) and this really adds up. Also take into account the impact of any state tax rates that may change with a retirement move, some are beneficial, some not so much. This is definitely a project that you shouldn't tackle by yourself. Please take the time to consult with a fee-only planner. Good luck! Two hours down, six more to go! Thank you so much to the NAPFA advisers who where on hand to take questions this morning. Joining us now are NAPFA advisers Timothy Parker, Mike Eklund, Vid Ponnapalli, Timothy LaPean, and Delia Fernandez. Welcome! Any recommendations for finding a great fee-based (not commission or percent of assists) financial advisor? Is NAPFA the place to start? I received an early 401K distribution. Which IRS forms do I need to file? Steve, Great Q. Yes, I would say NAPFA is the place to start and offers you to find an advisor with Fee-Only. No commissions. Flyboy - your employer will send you a 1099 regarding the distribution. Please consider contributing it to an IRA so you don't have to pay tax on it and it can grow tax-deferred. 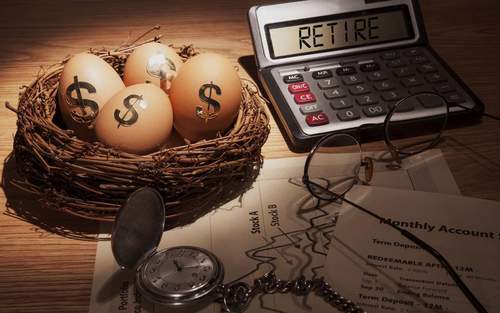 Recently retired at 64, I want to reduce and convert some of the $940k IRA to Roth IRA prior to RMD’s at 70. Investment income / capital gains are $50k. What is max I can convert without triggering higher tax bracket and affecting Medicare payments in two years? I will have a pension that can start in two years (or delay) and plan to hold off on SS until 70.
www.kiplinger.comYou could pay nothing in income taxes, or you could pay the same rate as billionaires. Determine how much can be converted to a Roth IRA without bumping you into a higher tax bracket. Steve: NAPFA, Garrett Network, XY Planning Network, Alliance of Cambridge Advisors, and possibly others are groups which focus on fee-only advisors. My understanding is that NAPFA is the largest group by a fair margin and that the membership in all of these groups tends to overlap a fair bit. So, yes, NAPFA can often be a great place to begin your search for fee-only planner. www.kiplinger.comStart converting some money now from a traditional IRA to a Roth. The money can grow tax-free in the Roth, and you're not required to take minimum distributions from it. Flyboy: usually on a 1040, sometimes on Form 5329. Check with your tax preparer to verify the answer for you. Barbara: That can be a great strategy in some cases. You'll need to work with your tax person(possibly in concert with a financial planner) to calculate the maximum you can convert to Roth without entering a new bracket. Also keep in mind that if you do break into a new bracket, you often pay that higher rate just on the amount that you went over by; although having your tax person model things for you can help make sure there are not going to be bigger ripples in your specific case. I only have about 30,000 left in my IRA. I'm afraid to keep it in the market any longer. have any good ideas as what to do?